Discover the Sé or Old Cathedral of Bragança, Portugal. 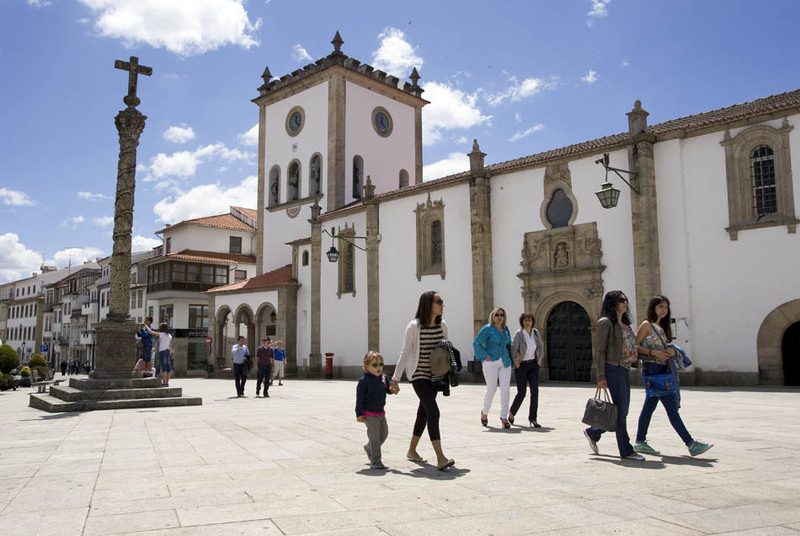 The Sé, or Old Cathedral of Bragança, is one of those places truly worth visiting. 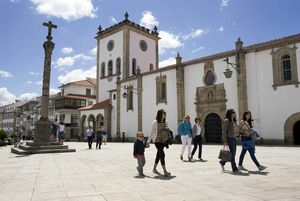 It was erected in 1545 as Igreja de São João Baptista Church but, in 1770, was promoted when the Diocese was transferred here from Miranda do Douro. It was then degraded when the Igreja de Nossa Senhora Rainha was built, which is the current Cathedral of Bragança. This Sé was the former church of a Jesuit convent, a building that had a single nave with reredos and rococó decoration. The interior decoration is based upon tiles and it features an ornamented organ in polychromic marquetry. There are also several altars in Baroque gilded wood. In front of the Cathedral, in the same Praça da Sé square, there is a calvary sculpture from 1869 on top of a Solomonic column.